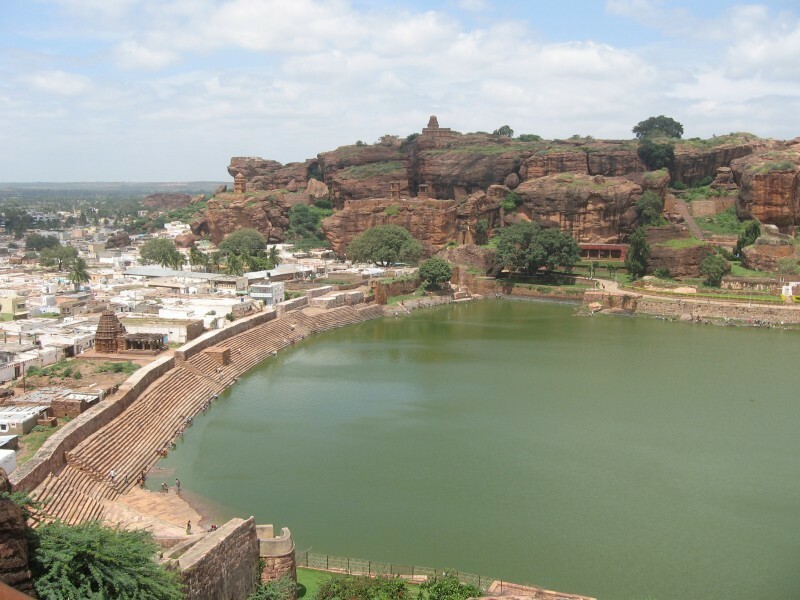 Badami is a city in Karnataka located 30 kilometers from Bagalkot, 128 kilometers from Bijapur and 500 kilometers from the state capital, Bengaluru. 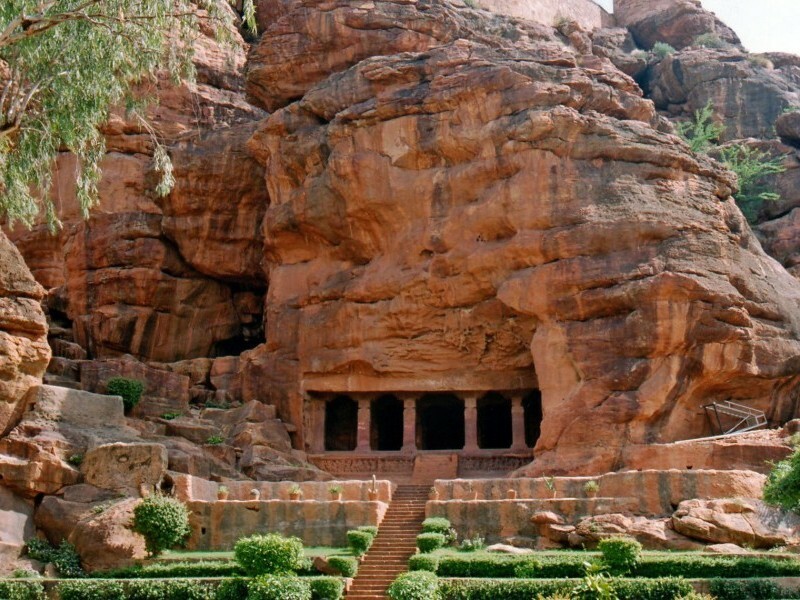 The main attractions of Badami are its caves. There are four main caves. The first one is dedicated to Shiva. 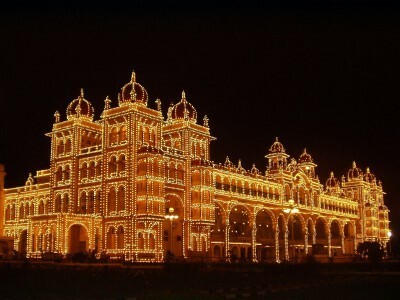 It was excavated by the Chalukyas in 550 AD. The second one is dedicated to Vishnu. In this cave there are statues of Vishnu avatars like Varaha, the boar or Krishna. 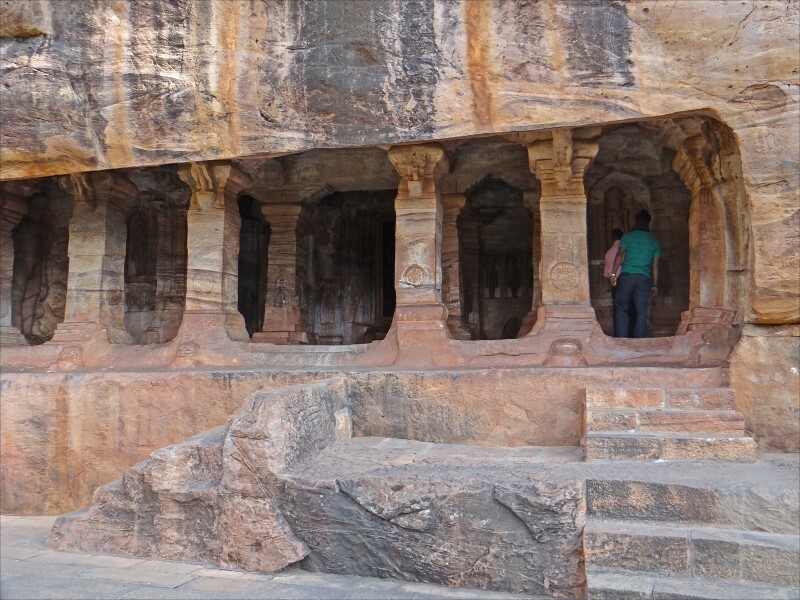 The third cave is also dedicated to Vishnu and the last one is a cave with Jain representations. Entrance Rs. 100 for foreigners and 5 for Indians. Also called Dattana Gidu, this temple is dedicated to Lord Dattatreya, who is showcased with three heads at the shrine. The deity is believed to be an incarnation of Brahma, Vishnu and Mahesh, the Hindu trinity. This temple is the oldest one of the town. 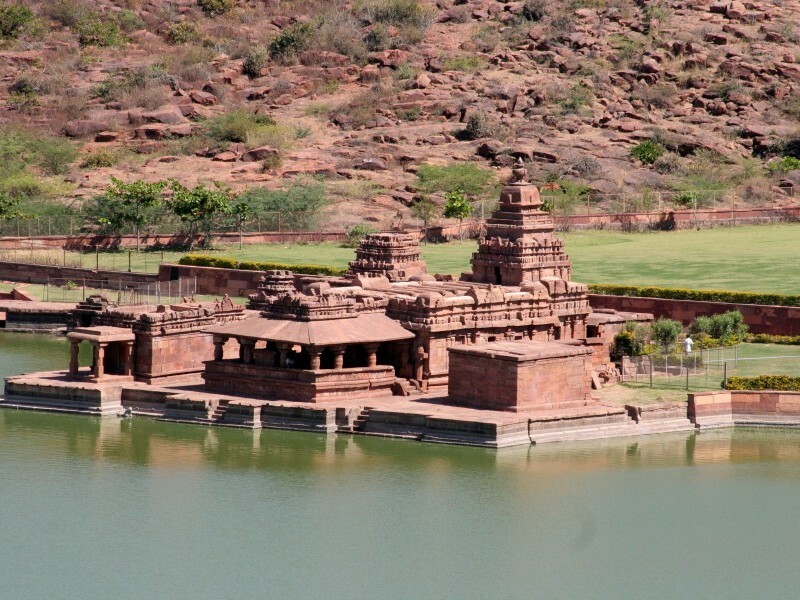 It is built on a flat rock and offers a nice view on Badami. A temple built in 5th century. The Bhutanatha group of temples comprises of a bunch of sandstone temples, all dedicated to Lord Shiva. With all the cliffs surrounding the tank, Badami is a nice spot for climbing. Badami once a royal capital of the Chalukyas is now a sleepy town in Bagalkot district of Karnataka. The town was known as Vatapi previously. Let one of our tailor-made holiday experts help you plan a personalised Badami experience as per your budget and requirements.